SAN FRANCISCO Several California Supreme Court justices expressed skepticism Wednesday that a disgraced former journalist who fabricated dozens of articles for well-known publications is morally fit to practice law. 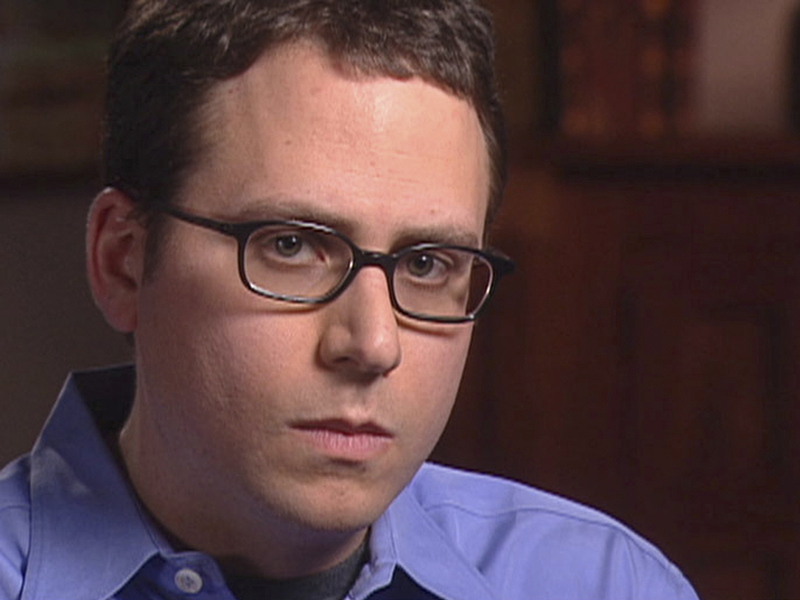 Stephen Glass applied to practice law in California after passing the state's bar exam in 2007. But State Bar officials have been grappling with his application since, finally appealing to the California Supreme Court to decide. Every member of the seven-person court had tough questions for Glass' attorney during an hourlong hearing in Sacramento. The court has 90 days to decide whether Glass should be allowed to practice law in California. Watch Steve Kroft's exclusive interview with Glass on "60 Minutes" at left. Read about his appearance on "60 Minutes" here. Glass says he made up all or parts of 42 magazine articles published in the New Republic, Rolling Stone and elsewhere in the 1990s when he was in his mid-20s and a rising literary star. He then tried to cover up his deceit by creating business cards, a fictitious Web site and having his brother pose as a source when editors began scrutinizing his work. Two years after he was drummed out of journalism in 1998, Glass graduated from Georgetown University's law school. The saga was turned into a critically acclaimed Hollywood movie, "Shattered Glass." A majority of the court appeared to agree that Glass has not done enough good works since his fall from grace 15 years ago to be allowed to practice law in California. Justice Ming Chin said it appeared Glass benefited from his fraud by publishing a novel in 2003 loosely based on his life that earned him $140,000. Chin also noted that Glass has never paid back the money he earned by publishing the fabricated articles. Chief Justice Tani Cantil-Sakauye noted that Glass gave misleading information to New York State Bar officials by undercounting the number of articles he fabricated when applying for a law license in that state. New York officials rejected his application to practice law in that state in 2004. Glass' attorney Jon Eisenberg argued that his client had redeemed himself. Eisenberg said Glass has undergone "extensive" mental health counseling and has the backing of nearly two dozen law professors, former editors and current employers among others. "He has impressed a number of people," Eisenberg said. "He impressed people at the New Republic, too," Justice Carol Corrigan tartly replied. Corrigan said she was troubled with Glass' lack of an extensive record of volunteerism and willingness to act as a cautionary tale for aspiring journalists through speaking engagements at colleges and elsewhere. Glass lectured three college classes in 2003, the same year his book was published. "The man has to earn a living," Eisenberg told the court. Eisenberg said Glass works six days a week as a paralegal at a Los Angeles personal injury law firm. Corrigan countered that many people looking to reform and rehabilitate their reputations volunteer at night and on the weekend. A California State Bar admission committee turned down Glass' application on moral grounds in 2009. A State Bar court judge overturned the committee after a 10-day hearing and found Glass fit to practice law. An internal State Bar appellate court voted 2-1 in 2011 to allow Glass to be a lawyer, prompting the admission committee to ask the Supreme Court to decide the issue. The dissenting appellate judge noted that the New York State Bar turned down Glass' application to practice law in that state in 2004, the year he moved to Los Angles. Carol Langford, who teaches legal ethics at the University of California, Berkeley law school, says the State Bar lawyers who oppose Glass' application make a strong case. "He would be in a far better place if he was more active in his rehabilitation," Langford said. "He should have donated all proceeds from his book deal to setting up a journalism ethics class, for instance." The California State Bar admission committee that initially rejected Glass' application viewed the book as Glass "cashing in on his infamy." Glass disputed that characterization in testimony before the State Bar court in 2010. He said the book was meant to be a "cautionary tale that would be helpful to journalism students and people like that." Glass said writing the book was therapeutic. Eisenberg wrote in papers filed with the court that his client had used proceeds to pay for living expenses, therapy and lawyer fees for three years and that the State Bar is making "unreasonable demands of Glass" to show repentance and reformation. "Sackcloth, ashes and a vow of poverty are not required for Glass to become a worthy member of the California Bar," Eisenberg wrote. "Glass has done many good deeds during his years in California. That he might be more saintly should not matter."